Elissa is a long time Disney lover whose obsession began the first time she ever went to Disney at 4 years old. From the first moment she stepped foot in Disney, Elissa knew she wanted to be a part of the Disney magic. During her bachelor’s degree program Elissa did an internship working at Rafiki’s Planet Watch in Disney’s Animal Kingdom. While there Elissa took classes given by Disney including a special class with Michael Eisner himself. Elissa earned her masters of business administration, which she has combined with her love for all things Disney to become an independent travel agent with DWB! While Elissa has only been a travel agent since 2016, she has been planning her own and the trips of her many friends and family for many years. Elissa comes from a large Italian family so she is use to planning trips for multigenerational families. Elissa also has a son with special needs so she knows the ins and outs of navigating Disney and their ever evolving programs for special needs individuals. 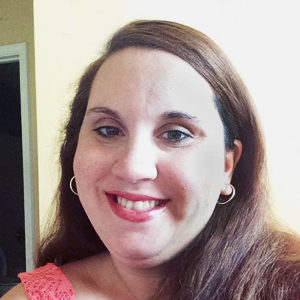 Elissa is a New York native who transplanted to the south with her husband over 8 years ago. The two are high school sweethearts and have two children, a princess and a superhero! Elissa would love to help you plan your dream vacation!